Video: Check out what Ranveer Singh has to say on dubbing the voice of Deadpool in Hindi! We thought that Wade of Deadpool fame couldn’t get any better than Ryan Reynolds, but since we learned the news that Ranveer Singh would be voicing the character of Deadpool in the Hindi dubbed version of Deadpool 2, we thought oh yes that is perfect too! 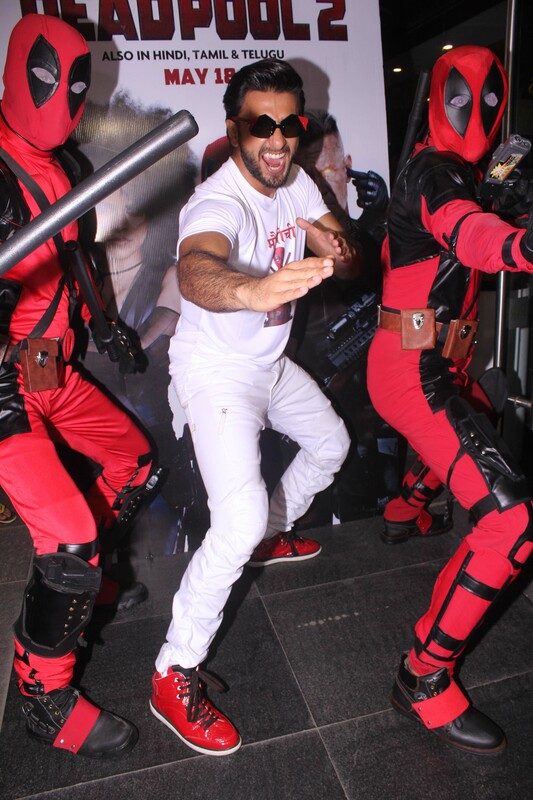 The whacky and energetic personality of Ranveer resonates with everything that Deadpool stands for. Both Wade Wilson and Ranveer Singh are quirky as they come. We have seen Ranveer win hearts and entertain with his impeccable sense of humour, which is also the USP of Deadpool. He is the only mainstream actor that is also known to speak his mind, whenever the occasion demands maybe not the language but his body gesture speaks alot. The reviews for the Hindi dubbed version have been outstanding saying that Ranveer has seamlessly delivered the dialogues and yet again he has managed to impressed us with his charisma. Deadpool 2 hits theatres today.